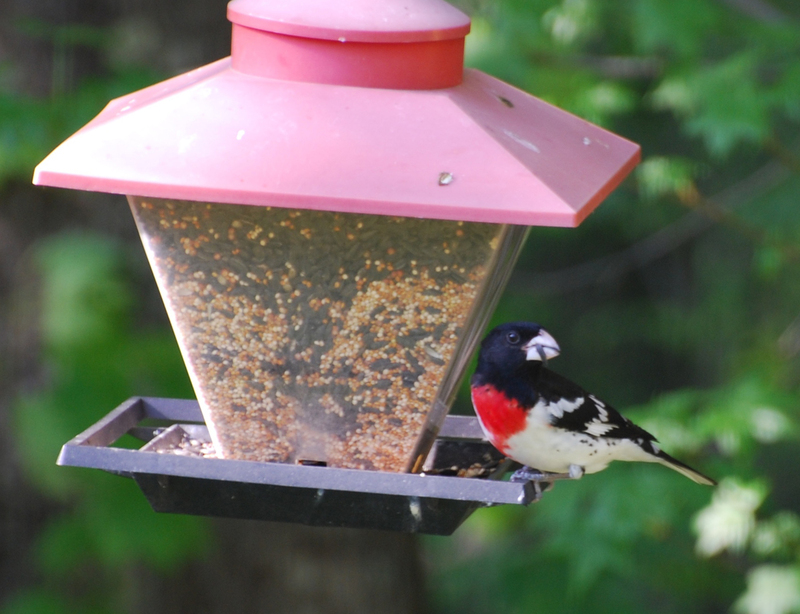 The 74th annual Elizabethton Spring Bird Count was held on Saturday, May 6. A total of 43 observers in nine parties took part in the annual survey, which consists Carter County and parts of adjacent Johnson, Sullivan, Unicoi and Washington counties. In addition to Elizabethton, the count includes territory in such cities as Elizabethton, Erwin, Kingsport, Bristol and Johnson City. Photo by Bryan Stevens • A male gobbler seeks the attention of hens, as all these Wild Turkeys add to the number of this species found during the count. The most unusual aspect of this year’s count involved rather cold conditions, according to long-time count compiler Rick Knight. Although held nearly a week into May, this was one of the coldest days ever experienced on a spring count. The temperature range was 36 to 54 degrees. Light rain fell before sunrise; the morning was partly cloudy to cloudy, then the afternoon saw light rain, with light snow showers at the higher elevations and a half-inch accumulation of snow on Roan Mountain. Knight noted that previous cold spring counts included: 32 to 55 degrees in 1979, 44 to 52 degrees in 1987, and 27 to 54 degrees in 1992. Despite the weather, participants managed to find 148 species, which is exactly the average over the last 30 years, but below the average over the last decade, which stands at 154 species. The most common species on this year’s Spring Bird Count was the Cliff Swallow with 1,046 individuals — a new record for this species — found this year. Other common species include European Starling (704), American Robin (693) and Tree Swallow (526). A Stilt Sandpiper found in Washington County represented only the third time this species has been observed during the Elizabethton Spring Bird Count. As always, Knight said there were a few notable misses, such as Northern Bobwhite, Ruffed Grouse, Pied-billed Grebe, Brown Creeper, Winter Wren, Swamp Sparrow and Pine Siskin. In addition, no gulls were found on any of the area lakes. Photo by Bryan Stevens • Purple Martins, like this male, were sluggish on the day of the count thanks to cold temperatures and steady rainfall. 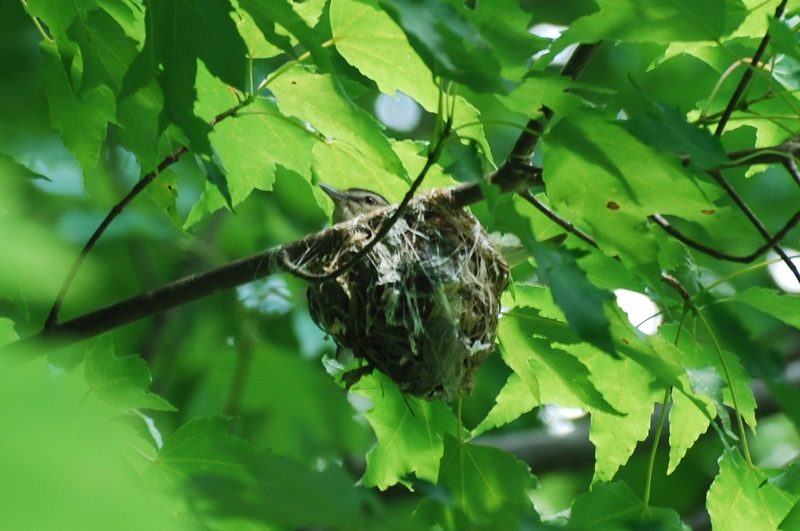 In addition, several species of warblers that nest in the region showed rather low numbers. Some of the low numbers for some species may be attributable to the weather. Nevertheless, the count produced observations of 28 different warbler species. Canada Goose, 390; Wood Duck, 27; Mallard, 93; Blue-winged Teal, 5; and Hooded Merganser, 2. Wild Turkey, 54; Common Loon, 2; Double-crested Cormorant, 42; Great Blue Heron, 115; Great Egret, 1; Green Heron, 13; Yellow-crowned Night-Heron, 8; and Black-crowned Night-heron, 1. Black Vulture, 74; Turkey Vulture, 108; Osprey, 10; Sharp-shinned Hawk, 1; Cooper’s Hawk, 5; Bald Eagle, 13; Broad-winged Hawk, 5; Red-winged Hawk, 25; and American Kestrel, 11. 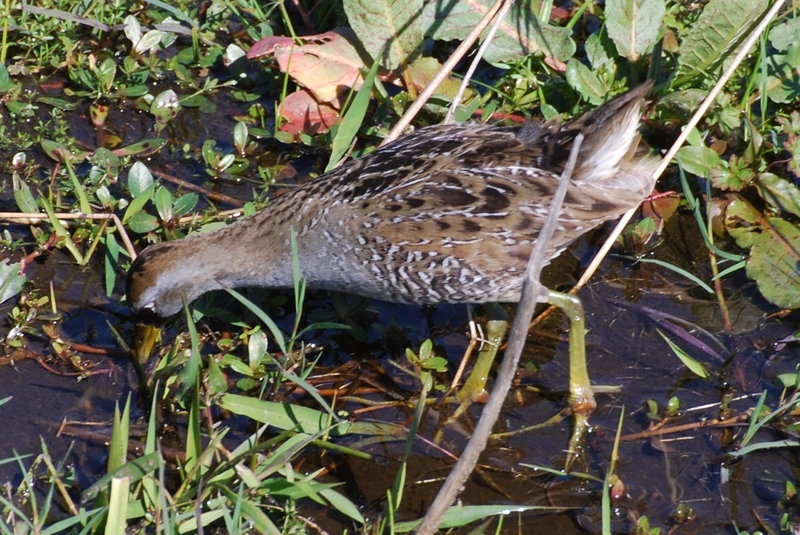 Virginia Rail, 4; Killdeer, 35; Spotted Sandpiper, 27; Solitary Sandpiper, 19; Greater Yellowlegs, 1; Lesser Yellowlegs, 1; Stilt Sandpiper, 1; and Least Sandpiper, 6. Forster’s Tern, 1; Rock Pigeon, 155; Eurasian Collared-Dove, 3; Mourning Dove, 224; Yellow-billed Cuckoo, 4; Black-billed Cuckoo, 1; Eastern Screech-owl, 6; Great Horned Owl, 1; Barred Owl, 2; Common Nighthawk, 1; Chuck-will’s-widow, 2; Whip-poor-will, 10. Chimney Swift, 66; Ruby-throated Hummingbird, 23; Belted Kingfisher, 23; Red-headed Woodpecker, 5; Red-bellied Woodpecker, 54; Yellow-bellied Sapsucker, 3; Downy Woodpecker, 23; Hairy Woodpecker, 5; Northern Flicker, 30; and Pileated Woodpecker, 34. Several species of herons, including this Yellow-crowned Night Heron, were found for this year’s Spring Bird Count. Eastern Wood-pewee, 1; Acadian Flycatcher, 5; Willow Flycatcher, 1; Least Flycatcher, 6; Eastern Phoebe, 42; Great Crested Flycatcher, 13; Eastern Kingbird, 43; and Loggerhead Shrike, 1. White-eyed Vireo, 5; Yellow-throated Vireo, 10; Blue-headed Vireo, 41; Warbling Vireo, 9; Red-eyed Vireo, 122; Blue Jay, 138; American Crow, 301; Fish Crow, 2; and Common Raven, 22. Northern Rough-winged Swallow, 345; Purple Martin, 36; Tree Swallow, 526; Barn Swallow, 259; and Cliff Swallow, 1,046. 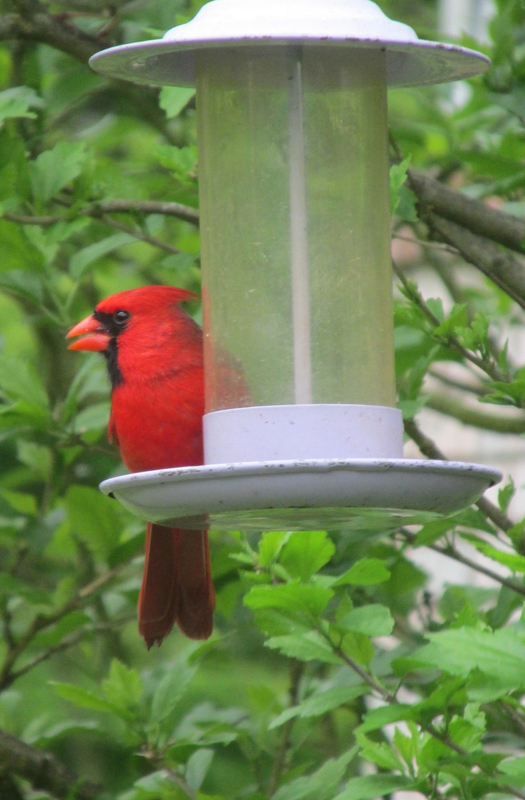 Carolina Chickadee, 82; Tufted Titmouse, 140; Red-breasted Nuthatch, 3; White-breasted Nuthatch, 13; House Wren, 30; Marsh Wren, 1; Carolina Wren, 99; Blue-gray Gnatcatcher, 39; Golden-crowned Kinglet, 11; and Ruby-crowned Kinglet, 2. Eastern Bluebird, 136; Veery, 44; Swainson’s Thrush, 5; Hermit Thrush, 1; Wood Thrush, 82; American Robin, 693; Gray Catbird, 35; Brown Thrasher, 51; Northern Mockingbird, 95; European Starling, 704; and Cedar Waxwing, 272. 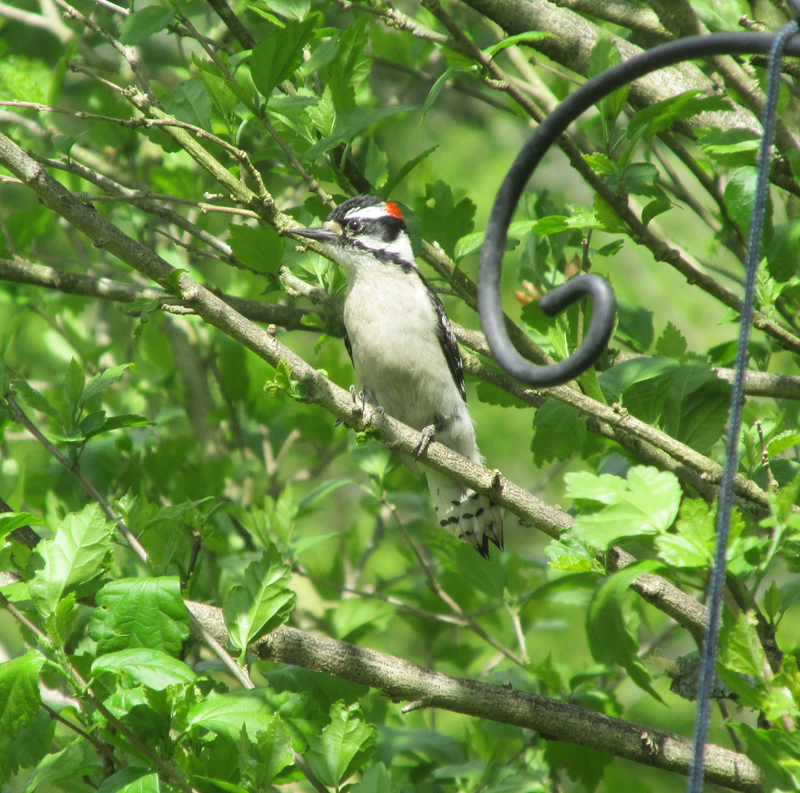 Ovenbird, 117; Worm-eating Warbler, 19; Louisiana Waterthrush, 18, Northern Waterthrush, 1; Golden-winged Warbler, 3; Black-and-White Warbler, 47; Swainson’s Warbler, 2; Tennessee Warbler, 1; Kentucky Warbler, 1; Common Yellowthroat, 17; Hooded Warbler, 95; American Redstart, 6; Cape May Warbler, 7; Northern Parula, 25; Bay-breasted Warbler, 4; Blackburnian Warbler, 1; Yellow Warbler, 3; Chestnut-sided Warbler, 9; Blackpoll Warbler, 1; Black-throated Blue Warbler, 25; Palm Warbler, 1; Pine Warbler, 15; Yellow-rumped Warbler, 18; Yellow-throated Warbler, 20; Prairie Warbler, 4; Black-throated Green Warbler, 53; Canada Warbler, 1; and Yellow-breasted Chat, 11. Photo by Bryan Stevens • Migrating shorebirds, such as this Solitary Sandpiper, added diversity to this year’s Spring Bird Count in Northeast Tennessee. Eastern Towhee, 132; Chipping Sparrow, 67; Field Sparrow, 35; Savannah Sparrow, 4; Grasshopper Sparrow, 1; Song Sparrow, 166; White-throated Sparrow, 4; White-crowned Sparrow, 2; Dark-eyed Junco, 28; Summer Tanager, 2; Scarlet Tanager, 60; Northern Cardinal, 212; Rose-breasted Grosbeak, 19; Blue Grosbeak, 5; Indigo Bunting, 79; Bobolink, 22; Red-winged Blackbird, 271; Eastern Meadowlark, 89; Common Grackle, 327; Brown-headed Cowbird, 97; Orchard Oriole, 21; Baltimore Oriole, 16; House Finch, 64; American Goldfinch, 228; and House Sparrow, 52. 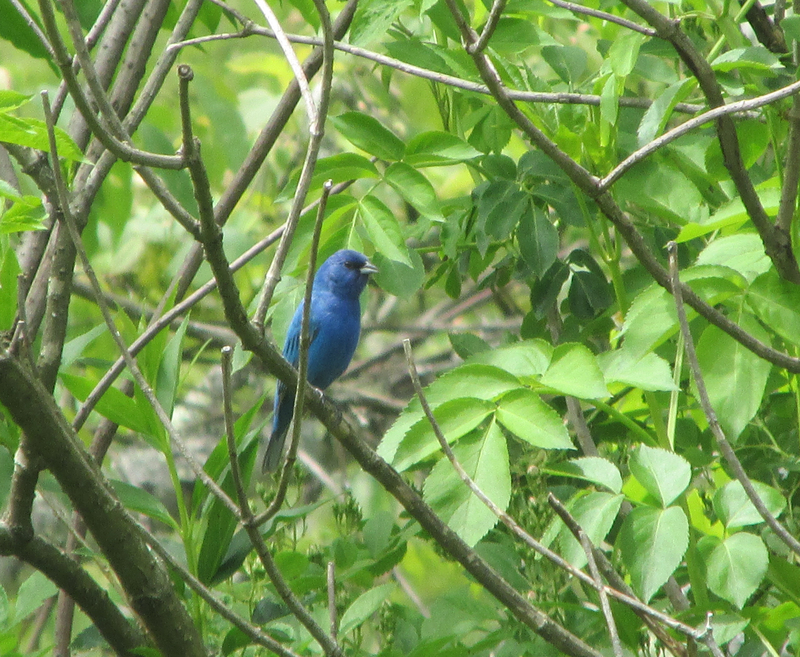 Photo by Bryan Stevens • Newly-returned neotropical migrants, such as this Indigo Bunting, increased the total number of species for the annual spring count. 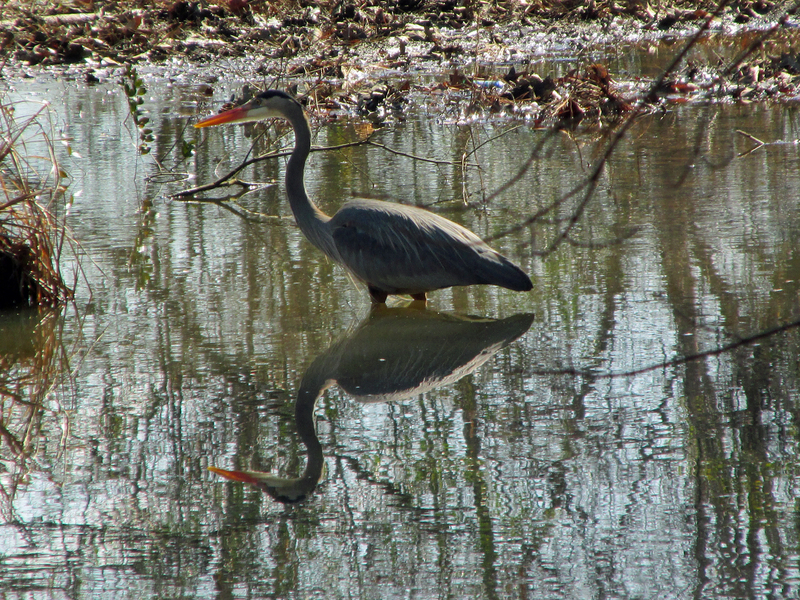 This entry was posted in Birding, Birds, Carter County Compass, Elizabethton Star, Erwin Record, North American herons, Spring Bird Count, Spring birds, Spring migration, Uncategorized and tagged Birdwatching, Bristol Herald Courier, Elizabethton Star, Johnson City Press, McDowell News, Migrants, nature, Spring Bird Count, Spring migration, Tennessee, The Erwin Record on May 28, 2017 by Bryan Stevens.